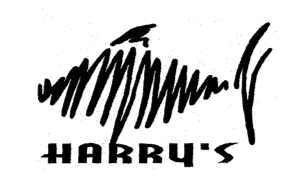 Harry’s Café has been an Okemo tradition since 1989 (27 years!). Newly re-located in December 2013 to 68 Route 100 N, in Ludlow. We are just across RT 103 from the Jackson Gore access road of Okemo Mountain Ski Area in Ludlow, Vermont. Harry’s Café has been a dinner destination for couples, families, locals, snow boarders, skiers, seniors, play goers, prom dates, and first dates for many years. The casual atmosphere, friendly people, and the bold and lively food come together to make a meal something to remember and return to. Word-of-mouth is still creating a growing number of folks who find us—just ask around. Check out our menu and enjoy our new wine list, full bar and Vermont brews! All our food is prepared from scratch. Our zest for cooking translates into fresh, bright tasting dishes spanning the globe, including the comfort zone. Rest assured, as the owner and as your personal chef at Harry's, Nobody cares more about your dinner than I do (except perhaps your mother!) I am committed to prepared-from-scratch, hand cut, homemade, exciting foods and combinations celebrating the freshest ingredients. Come to Harry's and dig in! Kids are welcome with lots of options. Vegetarian dishes are offered as well.